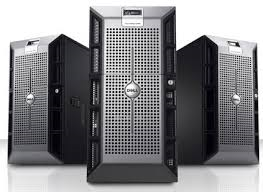 We sell and service Dell servers, and service, upgrade, and support IBM/Lenovo, HP, and most Windows based machines. On July 14th, 2015, Microsoft ceased all patches, updates, and support for Microsoft Windows Server 2003. Servers with Microsoft Windows Server 2003 will not pass a compliance audit and lack of compliance means major credit card companies will no longer do business with you. Begin your migration now and avoid the risks and costs of potential security breaches, compliance issues and increased suppport costs. Microsoft Server 2003 from this point forward IS NOT SECURE! Contact us for a FREE quote to upgrade your Microsoft Windows Server 2003 machines! Depending on your hardware, it may be possible to install one of Microsoft's other server offerings on your current server. We can assist in determining if your current machine meets the system requirements regarding Server 2008 or Sever 2012! And most other Microsoft Server Products!